It features a 24-hour reception, and free Wi-Fi is provided. Guests can cook in a fully equipped shared kitchen. The cozy lounge you can watch TV, chat over a cup of tea, to meet and spend time with interest. Check out from 06:00 to 12:00 . 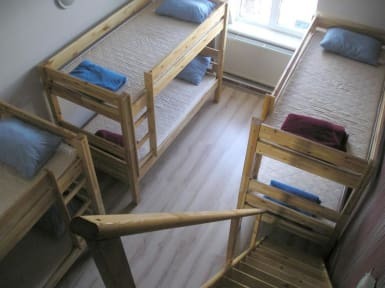 Definitely a hostel just for families. 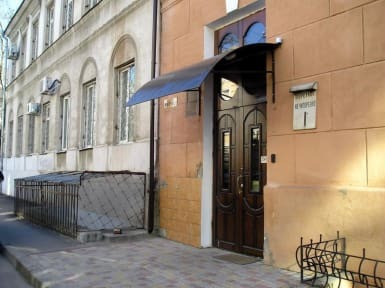 They say there is no curfew but if you arrive between 1 am and 6 am they make you pay 20 UAH. Although it's not too much money and we payed it both nights, it is annoying since the guy who opens the door looks at you very upset while doing it. Also, it says there is a fully equipped kitchen but there are no kitchen burners. The staff except one girl were rude and unfriendly the whole time. Don't recommend it if you wish to come back late at night.